I am a painter, printmaker and teacher who works in all sorts of media and enjoys the excitement that develops as paint creates shape and form as it is applied. I am a painter, printmaker and teacher who works in all sorts of media and enjoys the excitement that develops as paint creates shape and form as it is applied to whatever the surface. 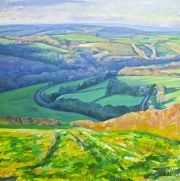 Having been an abstract painter prior to moving to Devon. 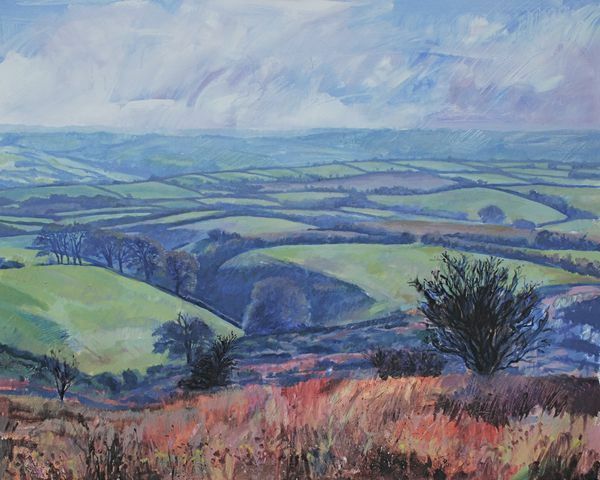 I find the colour shape and atmosphere in the Devon landscape both beautiful and a challenge. 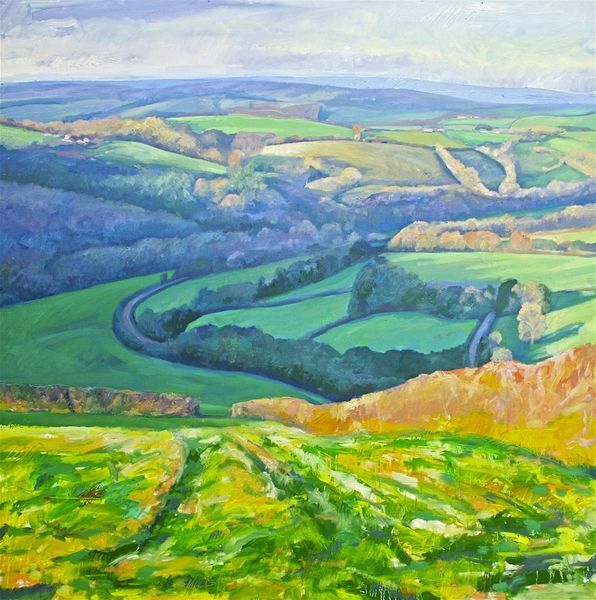 The rolling hills and valleys of North devon, the colours shapes and textures of both Dartmoor and Exmoor have inspired my senses and lead me to represent the beauty in what I see. My work has developed more traditionally but continues to dwell on the excitement of surface, mark making and texture. The flora and fauna on land farmed organically in Devon and the effect man has had on the landscape is of particular interest having farmed for a while in North Devon myself. These landscape paintings are beautiful and should make anyone want to visit the area – your paintings are a good favour to all the artists here!